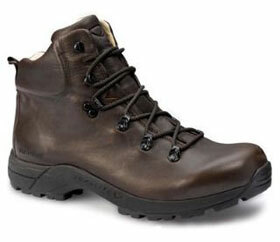 Does The Specification Of Brasher Fellmaster GTX Hiking Boots Match The Needs Of Trekkers? The Brasher Fellmaster GTX Hiking Boots are advertised as being a “modern, lightweight, quality leather hill walking boot for all day walking comfort” and this is just what trekkers need. There are many high-end elements to these boots that suggest they will be more than up to the job. Such as the use of memory foam in the cuff and tongue, the high density moulded midsole and the 2.2-2.4 mm oiled nubuck leather upper, but have user reviews shown that these additions have been worthwhile? 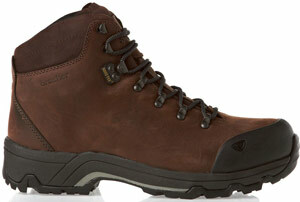 Can The Berghaus/Brasher Supalite II GTX Walking Boots Stand Up To The Demands Of Avid Hikers? When you are preparing for a long trek in the great outdoors, a pair of sturdy, comfortable hiking boots such as the Berghaus/Brasher SupaLite II GTX Walking Boots are a high priority. This pair of lightweight, 1122g men’s walking shoes claim to offer great comfort through a shock absorbing midsole, ankle padding and ventilation as well as a fully weatherproof GORE-TEX lining and a great grip on the Supalite sole.